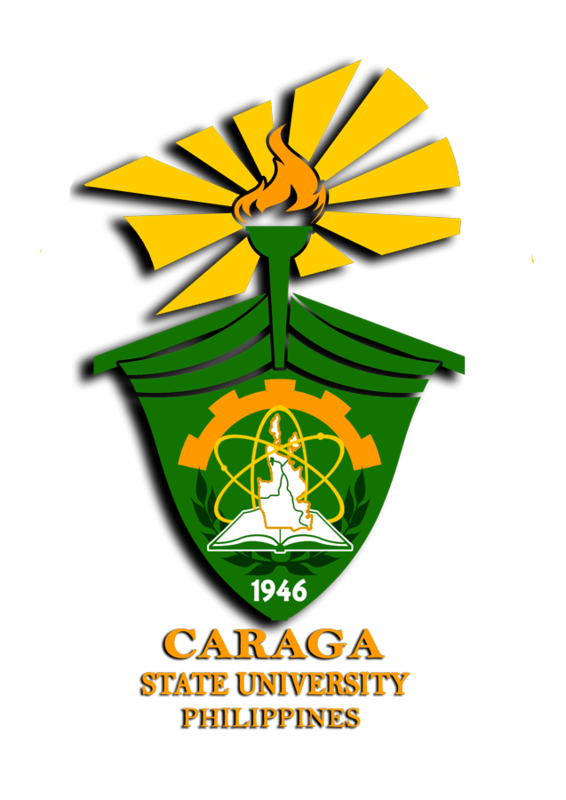 The official colors of the University are green, gold yellow, orange and white; green symbolizes life, fertility, and productivity; gold yellow represents the ripe rice panicles ready for harvest and stands for richness in the aims of CSU and wisdom of its constituents; orange represents strength with fortitude; and white represents purity and cleanliness. These colors are reflected in the new seal of the University with the design of a balangay boat, a wooden watercraft used by the early settlers, and traders from as far as China, Malaysia, Indonesia and other countries to engage trading in Butuan City and nearby areas. The torch symbolizes light-giving and vision to those who seek greater knowledge and truth, the field symbolizes the courses in technology, science and related fields; the gear exudes development and progress in the quad functions of: Instruction, Research, Extension and Production; and the Year 1946 indicates the year when the state college started its operation in Ampayon, Butuan City, the 232 hectare sectoral area reserved in 1920 by Proclamation No. 4. The late American Governor to the Philippines, Francis Burton Harrison issued Proclamation No. 4 declared the reservation of the land.